This post is inspired by my cheese french toast post, where in I gave a different and yummy twist to french toast. Many followers wrote in to post non-egg version. So here I am with no-egg version of pizza sandwich. This is one of the simplest and quickest lunch box recipe for your kids school. It took me just 10 minutes to prepare it and the best part is kids come home happily with their smile on face. 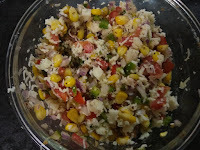 Do try….. it’s simply awesome recipe . 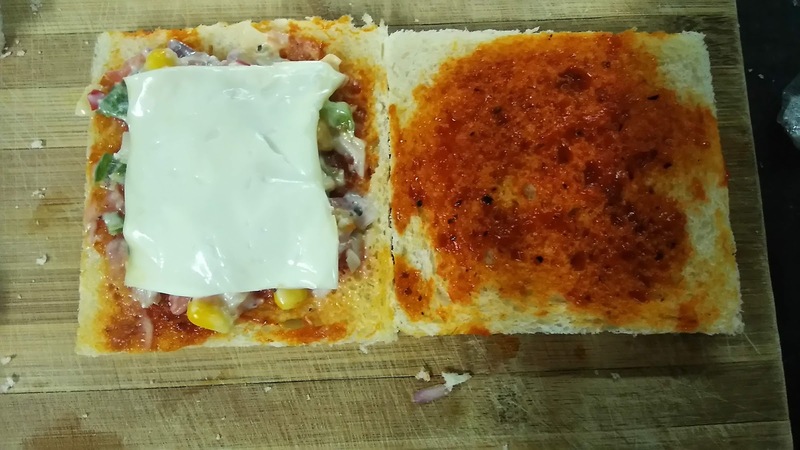 In case you don’t want to add more cheese, either use half of cheese slice or you can make it without cheese slice also, I will recommend to use at least half of slice for mesmerizing taste. Mix together all the vegetables. Add grated cheese, oregano and mix. Trim the edges of the bread slices. Spread pizza sauce. Keep generous amount of vegetable. Keep one or half cheese slice. Cover with another bread slice. Spread butter on one side of bread and toast on pan or tawa till crisp and brown. Before flipping spread butter on top slice. Flip and toast on other side too. Slice and serve in breakfast. I like to pack in kids lunch box. 1. Mix all the chopped vegetable, add oregano, salt and cheese. 2. Trim the edges of bread, spread pizza sauce. Keep vegetables. 3. Spread butter on bread and toast from both the sides. 5. 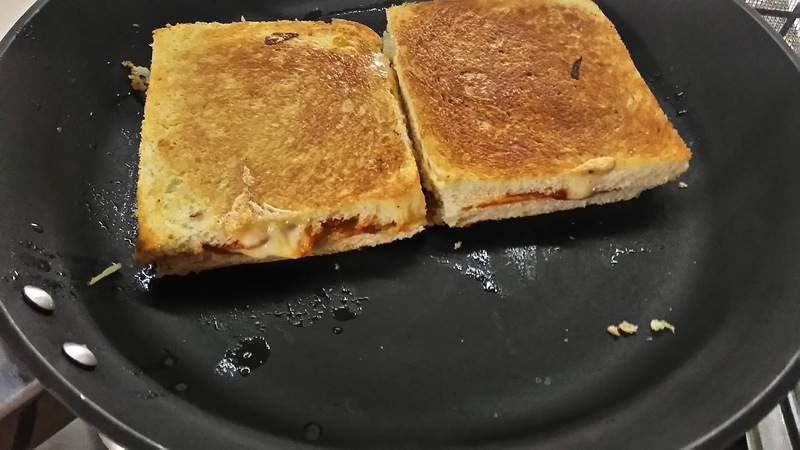 Cheese sandwich is ready to go in tummy. 6. My kids enjoy in their school.